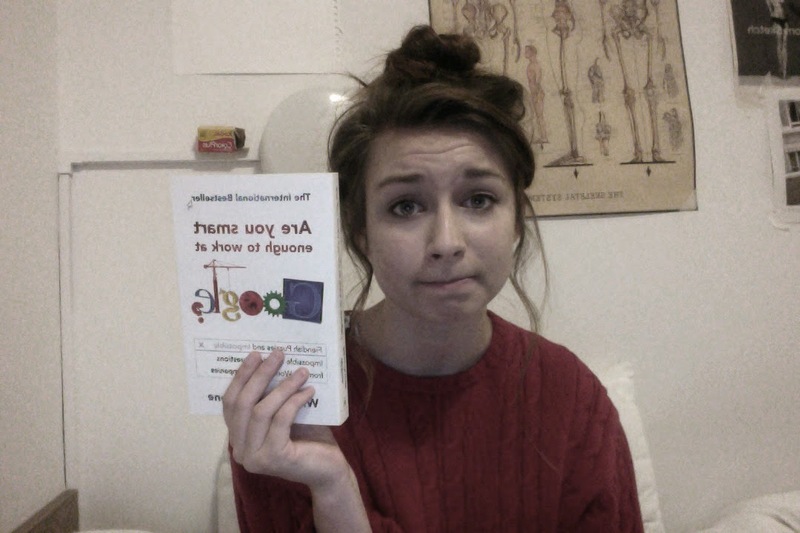 London's Worst Fashion Student: Are You Smart Enough To Work At Google? The answer is no. I quickly established this answer within the first chapter of reading my new favourite book. I am not much of a book lover and you can probably tell by my writing style that I lack reading books. However during a visit to the Saatchi Gallery I found this witty book piled up in the gift shop and have not put it down since buying it. While describing it to my friends they looked at me as if I was the worlds un-coolest 20 year old (Believe it or not this is a common occurrence), this book is just a list of impossible interview questions and puzzles but it really makes you think in a different way. The book addresses creativity versus intelligence; do you need to be creative in order to be intelligent? Or to be intelligent to become creative? Are the two link? You are shrunk to the height of a penny and thrown into a blender. Your mass is reduced so that your density is the same as usual. The blades start moving in sixty seconds. What do you do? Apparently day dreaming about how this occurrence could possibly happen, and why did they choose to shrink you? and who invented a shrinking ray gun, presuming that was the device which shrunk you in the first place? ...is the wrong answer according to google. I've always enjoyed maths and logical thinking so I have to say this is my kind of novel. I would definitely read this if you were going for an interview at one of the big companies. 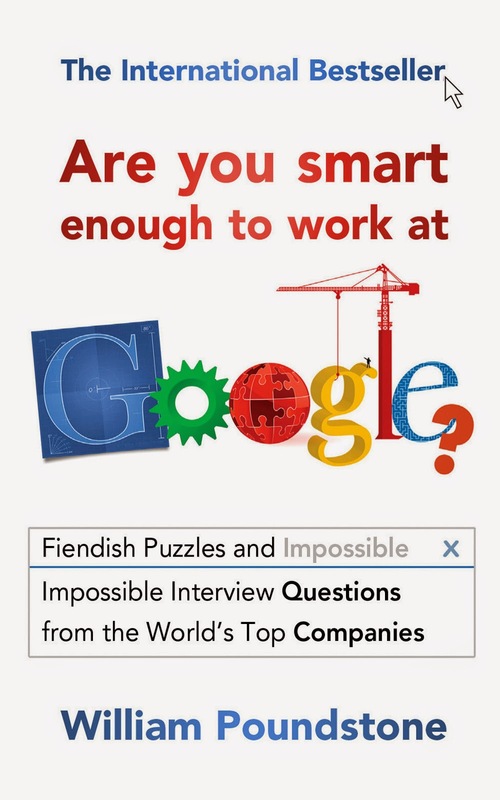 However while reading this book I did wonder: Before an interview at Google, would you Google questions they ask at the interview? Because Google would most likely know you googled that; or should you Ask Jeeves about this issue instead?